SPRING BLOW OUT SALE! REDUCED $1000.00. NO HAGGLE PRICE. 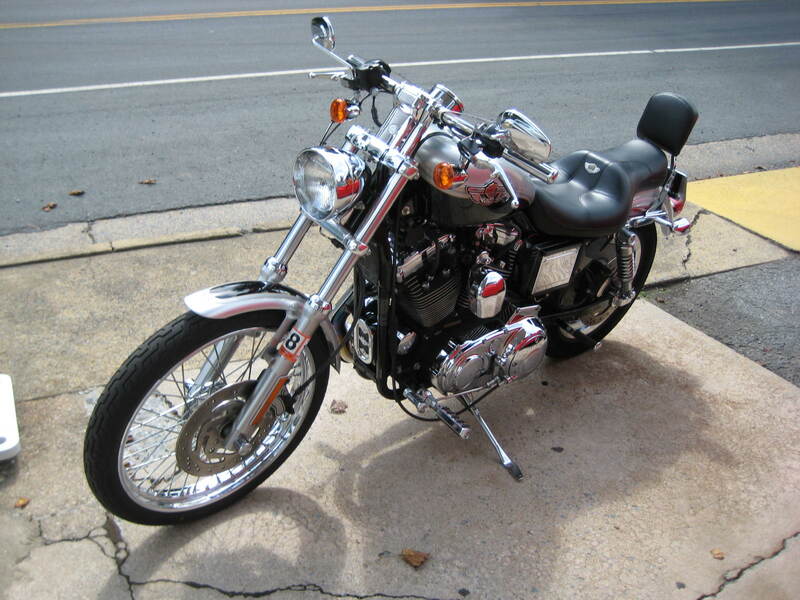 It's A GOOD TIME TO BUY A HARLEY! Let's get busy.Why not treat yourself to something special? 100th Aniv. Ed.This is a scratchless beauty. Pampered well cared for. LIKE NEW!! NO DISAPPOINTMENTS! One of the nicest sportsters in the area. It has been kept in a climate controlled shop. Options include: Battery Tender lead, Sceaming Eagle Exhaust, Chrome Options,Rear Passerger Pad and Bar, 1 Year old battery. Just serviced. New Oil FILTER with oil change. NEW TIRES.COIL AND WIRES. DYNA JET KIT. Don't miss this one!! Very attractive. Value Buy! Rides and performs great! EVERYTHING WORKS. Actual miles. EXCELLENT CARFAX.Clean title. No accidents! Well maintained. Inspected by our ASE Certified Tech! NEW VA Inspection. Price includes 100% Limited Warranty on Parts and Labor! Give us a call. Our mission is to connect our customers with quality. 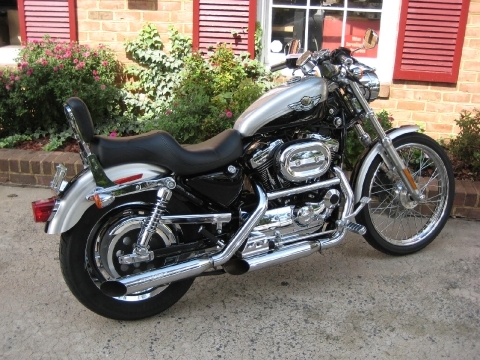 Take time to stop,look and listen to our nice Sportster. We take the time to make our vehicles road ready,safe and customers HAPPY. Auto Link is a 5 Star Customer Rated Carfax Dealer.Our LOW Proc. Fee, $69.00. Thanks for viewing our nice Harley. NOTE - To view Carfax please go to our website-www.autolinkonline.net & click on service records located under inventory tab.